Published: Dec. 13, 2015 at 06:14 p.m. Published: Dec. 6, 2015 at 05:29 p.m. 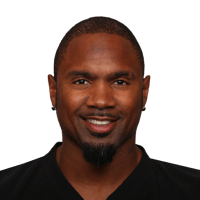 Raiders Charles Woodson strips the ball from Chiefs Travis Kelce and returns it himself for 38 yards. Published: Oct. 12, 2015 at 12:14 a.m. In his 18 years of playing in the NFL, Charles Woodson finally picks off Peyton Manning for the first time ever. Published: Oct. 12, 2015 at 12:13 a.m.